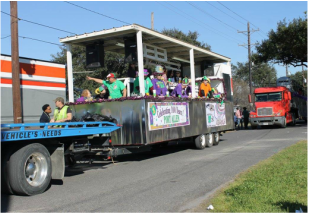 The 34th Krewe of Good Friends of the Oaks Mardi Gras parade will begin and end at the corner of the LA-1 Service Rd and Oaks Ave. 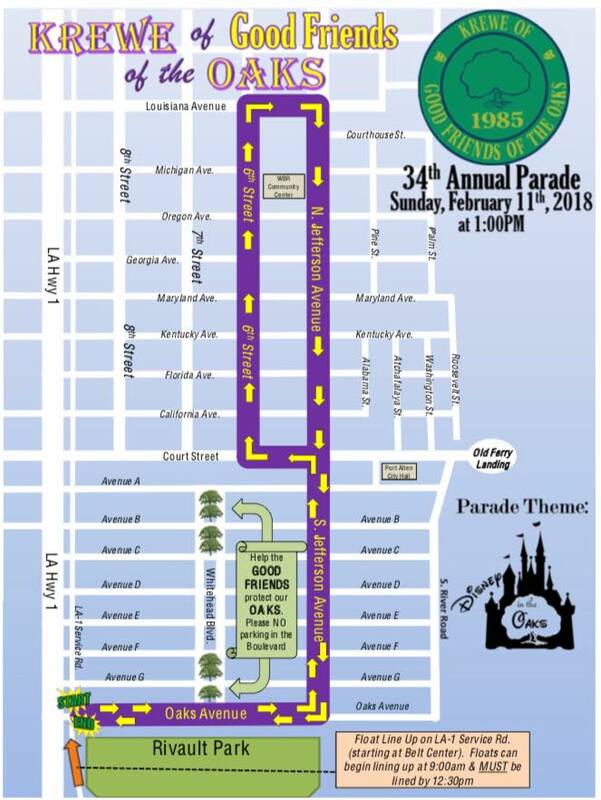 The parade route is as follows: east on Oaks Ave to Jefferson Ave, north on Jefferson Ave to Court St, west on Court St to Sixth St, north on Sixth St to Louisiana Ave, east on Louisiana Ave to Jefferson Ave, south on Jefferson Ave to Oaks Ave, west on Oaks Ave to LA-1 Service Rd. $20 per float for schools, non-profit organizations, etc.